It was recently announced that a new game developing studio has been formed by numerous former employees from several major studios in the gaming industry. The new studio is named Hinterland and their employees come from other high profile studios including BioWare, Riot Games, Ubisoft Montreal, Sony Santa Monica, and id Software. These studios have all been responsible for working on a variety of wildly popular games that have been released in the past few years alone such as the Assassin’s Creed series and many others. The founder of this new studio is Raphael van Lierop who worked on projects including Warhammer 40,000: Space Marine and Far Cry 3. The first game that Hinterland will be developing will be released for PC and is titled The Long Dark which will be a survival simulation game set in an open world with an apocalyptic history. There is no current release date scheduled for The Long Dark but I know that I am excited to see the work that comes from this new studio in coming years. While we wait and pray for a Game of Thrones officially licensed game to developed that feeds our addiction to the series in a way that the current Game of Thrones: Genesis and the RPG Game of Thrones have not quite filled there has been an fan developed 8 bit game created by Abel Alves. The game is freeware is openly shared and can be downloaded from http://gameofthrones8bit.blogspot.com/ . Alves is a Spanish comic book artist that is currently living in Uraguay and is currently working on other projects. The game includes four different playable characters such as Daenerys, Tyrion, and Jon Snow. Each character has weapons/accomplices present in the books including a direwolf, a dragon, and either a crossbow or an axe (hard to tell in 8 bits). The game includes several different songs used in the soundtrack including the HBO shows theme song and the “Rains of Castmere.” The graphics use a mixture of 8 and 16 bit images giving the game a classic retro feel. The game does not perfectly follow the story of the books but it does stay fairly on track. Alves has also mentioned that there is a possibility that there could be a sequel for the game developed in the future. It has become known via Twitter announcement earlier today that the lead project director from Halo 4 Scott Warner is leaving 343 Industries to continue his career with EA Visceral. This is good news for EA Visceral because Warner has quite a resume working with previous game development companies such as Pandemic Studios and Black Isle Studios. The most well known recent product released from EA Visceral was Dead Space 3 which was released earlier in the year with good reviews despite failing to meet projected sales by EA. The big upcoming project from Visceral is a new Star Wars game that is in no way connected to the DICE studios revival of the Star Wars Battlefront series that is under development for the new generation of consoles running on the Frostbite 3 engine. Hopefully Mr. Warner finds his move to EA Visceral to be easy and that he continues his illustrious career in producing excellent games that we can enjoy in the coming months and years. A few weeks ago Sony released a statement telling gamers that the PS4 is capable of being turned on remotely when users use the Playstation app to purchase games. 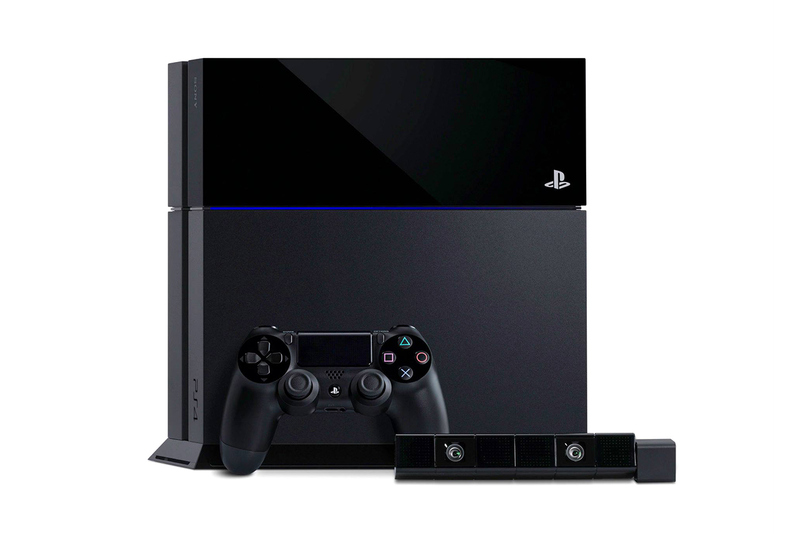 Upon purchasing the game the PS4 will turn on remotely and begin your download in order to allow the gamer to play their new purchase when they arrive home. This news was released by Sony President Shuhei Yoshida via Twitter. In addition to this news Sony also confirmed the upcoming consoles ability to support cross platform party chat between the PS4 and the Playstation Vita which is also exciting. Hope that you guys are as excited as I am for all the new features that we will gain access to upon the release of the new generation of consoles. Until then keep on gaming, winning, and having fun! Hey guys I finally got around to designing a profile picture. I whipped it up using chalk pastels and ink and scanned it in. Some background on the image… The Hip Gahn or (DeHipGahn) my name originates from a jazz club performer in the 50’s who would tell common stories using wild accents for the time. 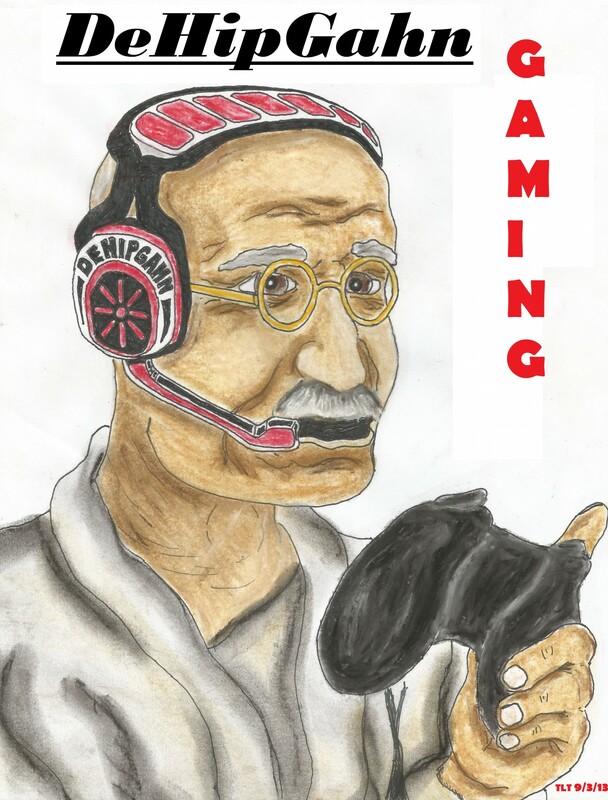 In one of his shows he did a story about the Gahndi which he called The Hip Gahn thus I thought it fitting to whip up a picture of the world famous man with gaming headset ready to go and a controller in his hand ready to get down and dirty with some great games. 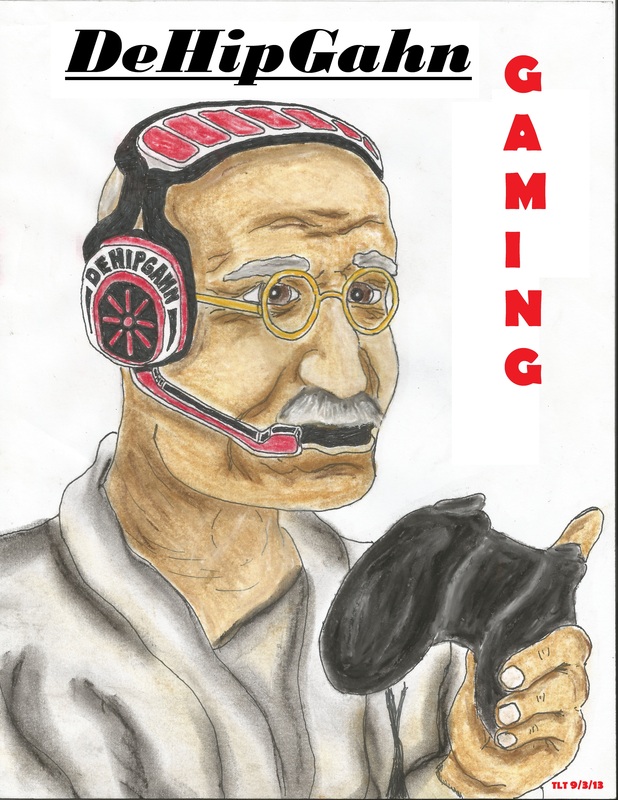 I hope you guys like it and perhaps sometime soon I will add some more personally drawn gaming oriented images to the page. Cheers and get down on some gaming! Nice Article, I haven’t gotten around to playing a Splinter Cell Game in a long time and really enjoyed taking a look at your overview! Thanks for keeping me in the loop! I have to admit that before I even started playing Splinter Cell Blacklist I jumped on the “It’s not Michael Ironside voicing Sam Fisher” bandwagon. And to be honest, that wasn’t fair to new actor Eric Johnson, who was hired by Ubisoft because they apparently needed an actor who could also do motion-capture. I guess Ironside is a little past motion-capture work these days. 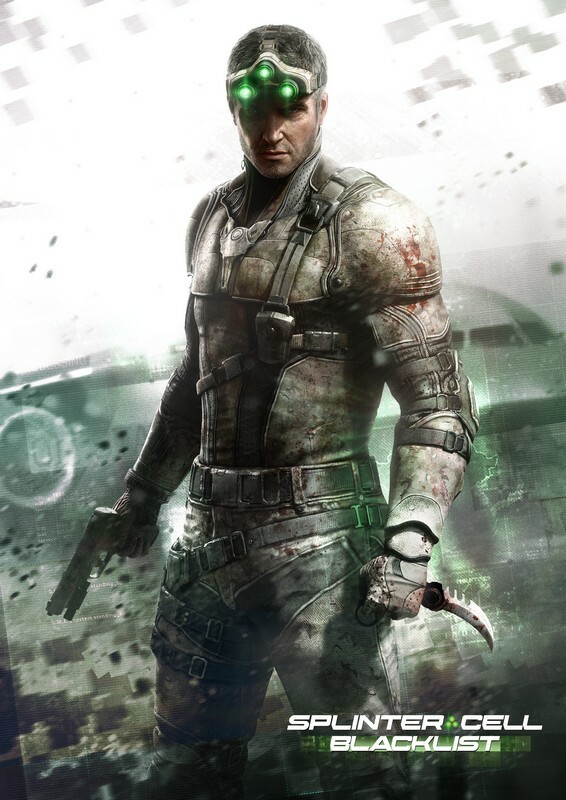 Anyway, Johnson does a creditable job as Fisher but it took a few hours for his younger voice to start working for me: I’ve played every Splinter Cell game to date and it’s always been Ironside’s dulcet tones that have soothed me as I took out an enemy or wandered about. It seems that the adage never judge a book by its cover is true here, at least in my opinion. Hey Everyone just letting you know that I am continuing to update my console history pages. So far I have completed the first, second, and nearly completed the third generation console pages. The only third generation console left to go is the SG-1000. I hope you guys continue to check my pages out and spread the word. Once I complete my console history pages I will begin to write new posts about the upcoming consoles and their games scheduled for this holiday season. Hey everyone, just like I promised I have been continuing my work on the console history pages and as of now I have completed the background information for all of the consoles under the first and second generation tabs. I hope that you find the information to be interesting and informative whether you lived through the releases of these systems or whether you are simply trying to learn a bit more about the evolution of home video game systems. Hey everyone! I wanted to apologize for not creating any new posts since I started up the blog. Despite the lack of posts I have been working hard on the page by filling out my general information pages about the various systems that we all know and love. So far I have completed updating the first generation console pages with all the information you could want to know about the earliest consoles in the industry and I am beginning the process of the second generation consoles. I appreciate everyone’s patience in waiting for new posts and I promise that once I complete my background pages I will be more focused on actual posts. I just really want to have a nice looking page with a lot of good information to back my posts once I begin trying to increase the page traffic. Hope all is well with you and that you are all getting your games on! Hey everyone I am an avid fan of video games and I have grown up playing them. I plan on using this blog to share my opinions about new and old games in addition to posting news about upcoming innovations and technology in the industry. Video games have always been a passion of mine and I am excited to become an active member of the online video gaming blogging community and look forward to sharing my knowledge and insights about the industry and also learning from my readers and other bloggers. Enter your email address to follow DeHipGahnGaming and receive notifications of new posts by email. Best times to reach me are likely afternoons or evenings but I will do my best to promptly respond to any messages!